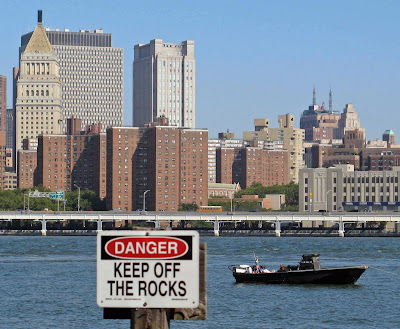 I'll be away for a few days in a computer-free zone, so I'll defer those projects I've promised to work on (more on Exley; Second Amendment) until after next Tuesday. Best wishes. Gotta like the deal for the strength it adds to defense up the middle, and the DP combo with Reyes. Offensively, Castillo looks like less of an asset. His .304 average so far this season (.294 career) is decent, though not as good as Ruben Gotay's. Run production is subpar, with only 18 RBIs for the season, compared to 19 for Gotay, who has batted 123 times compared to Castillo's 349. Castillo seldom walks (29 times this season), but doesn't strike out much, either (28). One reassuring stat is that he doesn't ground into a lot of double plays (only three this year). Evidently, he hits lots of well-placed grounders and bloops. He's no threat to clear the fences, with 23 dingers over a career now in its twelfth season, and none so far this year (Gotay has 4, again with only 123 ABs). All in all, though, this adds up to Castillo's being reasonably well suited to the role of number two hitter; he has a fair chance of advancing a runner and getting on base himself. This deal may prove a test of Billy Beane's maxim that good defense is seldom worth what you pay. 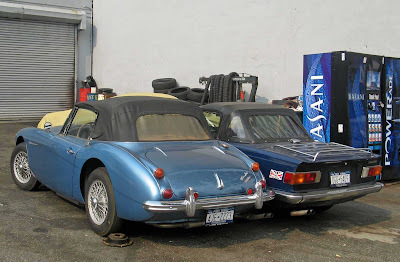 This morning, as I was on the homeward leg of my customary run/walk, I spotted an Austin-Healey 3000 parked next to a Triumph TR-6 outside the same garage where I saw the MGA last week. 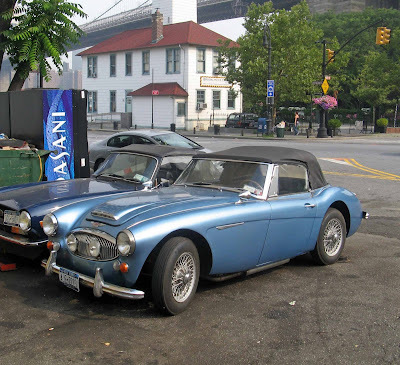 Schad (see his comment under the MGA post) says he likes the look of the TR6. I do, too, but prefer the voluptuous curviness of the Healey and the MG to the angularity of the TR. As to whether I prefer the Healey or the MG, I'm still coming down on the side of the latter, largely out of agreement with Mies van der Rohe's esthetic principle: "Less is more."